What: We talked to Augusto Romano, CEO of DIGO Hispanic Media, about him joining Portada's Council System and his company's unique offering. Why it matters: Caribbean Hispanics account for 16% of the U.S. Hispanic Population, but there aren't many agencies addressing them as a separate segment. Digo Hispanic Media is a company that was born when two of the largest media companies in the Caribbean, GFR Media from Puerto Rico and Grupo Corripio from the Dominican Republic, merged to target the 9.4 million Puerto Ricans, Cubans, and Dominicans in the east coast of the U.S.
Augusto Romano, a digital media and marketing executive with over 20 years of experience in the field, is the CEO in charge of this new initiative. In order to welcome him to Portada's Agency Star Committee, we conducted an exclusive interview with him to find out as much as possible about DIGO and Romano's objectives for this year, as well as how he plans to make the most of his participation in the Council System. Augusto Romano will discuss how to effectively target U.S. Caribbean Hispanics at the Portada Data & Content Marketing Forum, on April 3rd, in New York City. For an opportunity to listen from the front row, click here. Portada: How did you find the need in the market for a new media company specifically targeting Caribbean American audiences? Augusto Romano: The wealth and resources of the Hispanic population in the United States is growing rapidly; the real median household income is more than fifty thousand dollars and it is increasing at a rate of more than 3 percent a year which is nearly twice the average growth of all U.S. households. U.S Hispanics are the most significant minority group in the U.S. economy, accounting for 18% (58 million people) of the overall population. These figures are commonly referenced and this is why more and more agencies and brands are increasing their advertising budgets to reach them. (1) Spanish-Dominant, or immigrants and first-generation Americans, account for 23% of the population. (2) Bicultural, or first and second-generation Americans, account for 31% of the population. (3) English-dominant, or second-generation and subsequent generations, account for 46% of the population. Keeping this in mind, marketers can now determine how, when, and where they can connect with the U.S. Hispanic audience, but most importantly, now they know in which language they should communicate with them to be more culturally relevant and increase their chances of engaging with them. Portada: How do you target audiences according to their country of origin? A.R. : When brands analyze groups by country of origin, they can understand and value other important aspects of their culture. This allows brands to reach them in a more relevant and memorable way. Let's review the figures by country of origin. The Mexican diaspora, for example, accounts for 60% (35.8 million) of the U.S. Hispanic population, of which only 32% were born outside of the U.S. We can infer that in this group 68% fall in the categories of English dominant and bicultural, so it is better to speak to them in English with some details of their culture. On the other hand, the Puerto Rican diaspora accounts for 9% (5.4 million) of the Hispanic population in the U.S. and although they are all U.S. citizens, they are predominantly bi-cultural and Spanish-dominant. This group is followed by Cubans who account for 3.6% (2.1 million) of the U.S. Hispanic population, of which 56% were born outside the U.S. and are considered Spanish-dominant or bicultural. Finally, of the Dominican diaspora, which accounts for 3.2% (1.9 million) of the U.S. Hispanic population, 54% were born in their country of origin, which is why they are Hispanic dominant and bicultural. Due to their cultural affinity and geographical location, we can see Spanish-speaking Caribbean Americans as one large audience. Together they account for 9.4 million or 16% of the U.S. Hispanic population, with most of them living in the northeastern states and Florida. 78% of them live on the east coast of the U.S., accounting for the largest population of Hispanics in the region. Due to their cultural affinity and geographical location, we can see Spanish-speaking Caribbean Americans as one large audience. Portada: What is the best way to reach this target audience? A.R. : Brands can reach these groups in a very effective and culturally relevant manner through digital channels such as Listin Diario, a media brand that has been in the hearts of Dominicans for more than 130 years, El Nuevo Día, a media brand in Puerto Rico that has been a primary source of information for Puerto Rican families for almost 50 years, or Periódico Cubano, which serves as a bridge between Miami and Havana. When brands target the consumers through these media, the level of interest in the brand increases. If on top of that the brand uses specific editorial environments and addresses their different interests (sports, entertainment, politics, news, etc), then it’s definitely a winning formula. Portada: What are the keys to building effective media strategies in Spanish? A.R. : To reach the hearts of Hispanics, a brand must speak to them in their preferred language, highlight relevant aspects of their culture, consider emblematic cultural assets, and develop a narrative that highlights them. It is also important to consider that they're interested in what happens in their country of origin and are actively seeking information about what's breaking there because, apart from the love they feel for their country, most of them still have family living in Puerto Rico, the Dominican Republic or Cuba. Typically, local U.S. Hispanic Media doesn't cover this type of information. [We] give brands the opportunity to connect with a neglected segment of the U.S. Hispanic population. Portada: What are DIGO’s main objectives and how do you plan to fulfill them? A.R. 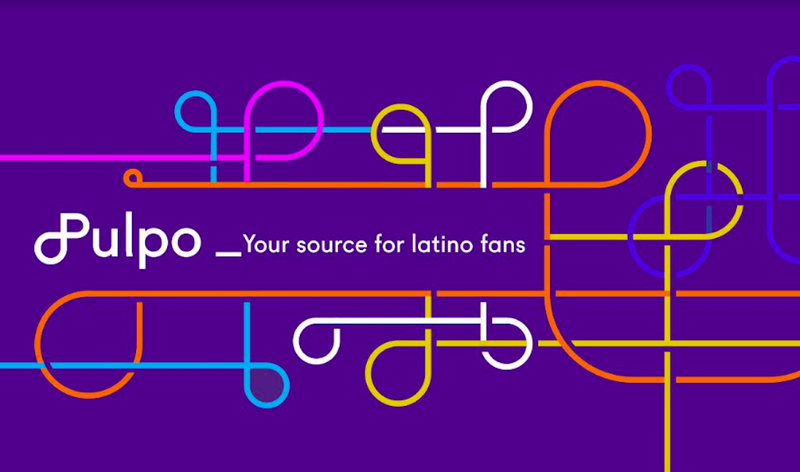 : This void is the foundation on which DIGO Hispanic Media was built on: to give brands the opportunity to connect with a segment that has been neglected or treated as other U.S. Hispanics in contexts that are not relevant to them. We have a potential reach of over 4 million U.S. Hispanics, mostly Puerto Ricans, Dominicans, and Cubans, which means we have a penetration of 80% of the population of Spanish-dominant and bicultural Hispanics between these nationalities. DIGO Hispanic Media was created by an alliance between the largest media groups in the Caribbean region, GFR Media of Puerto Rico, and Corripio Media Group of the Dominican Republic. Leveraging our leadership and partnerships in LATAM, we also provide access to other U.S. Hispanic Groups by representing other important publishing groups in Latin America, also leaders in their markets. We provide our clients with extended reach and more targeted solutions of other Hispanic segments. We are focused on delivering the best Hispanic audience by integrating the most robust technologies available to satisfy the connection needs of our advertisers, only through premium sites, with reliable, brand-safe, and culturally relevant content. I greatly appreciate the opportunity to be a part of Portada's Agency Star Committee and I hope to share my vision, experience, and insights. Portada: What do you expect to accomplish through your participation in the Council System? A.R. : I greatly appreciate the opportunity to be a part of Portada's Agency Star Committee and I hope to share my vision, experience, and insight. I also plan to learn from my colleagues who enrich the quality of the conversation and seek to better develop our industry. Portada is a leader in multicultural marketing and I feel honored to be a part of the Council System to contribute and exchange ideas with the other members of the Committee. Portada: Where do you see the company going in the next 5 years? A.R. : Our mission is: To make true connections between the U.S. Hispanic audience and our business partners in a brand-safe, premium and culturally relevant ecosystem, powered by passion, quality, integrity, and fun. I see DIGO as the largest, most respected and reliable source of U.S. Hispanic audience.